We carry out initial assessments to ascertain relative integrities and advise on the full range of repair, renovation and strengthening options from bridge deck joint replacement to tie anchors. 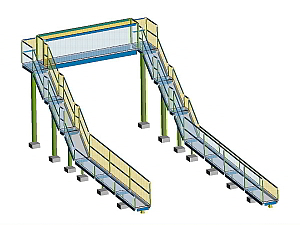 Desktop analysis and onsite surveys form part of our research for bridge structure assessment as well as materials testing and back analysis to determine the full load capacity of all structural elements. VEDA has produced multi-discipline detailed design replacement footbridges at National Rail trains stations, devised a reparative solution for a failing Grade II listed viaduct and ascertained the caisson stability of mid-19th Century-built bridge. From old highways and viaducts to rail and pedestrian bridges, VEDA’s depth of experience spans them all. VEDA has produced multi-discipline detailed designs for replacement footbridges at National Rail train stations, devised a reparative solution for a failing Grade II listed viaduct and ascertained the caisson stability of mid-19th Century-built bridge.